Easter is the perfect opportunity to get the whole family or your girl squad on one table to enjoy a long and relaxed breakfast together. 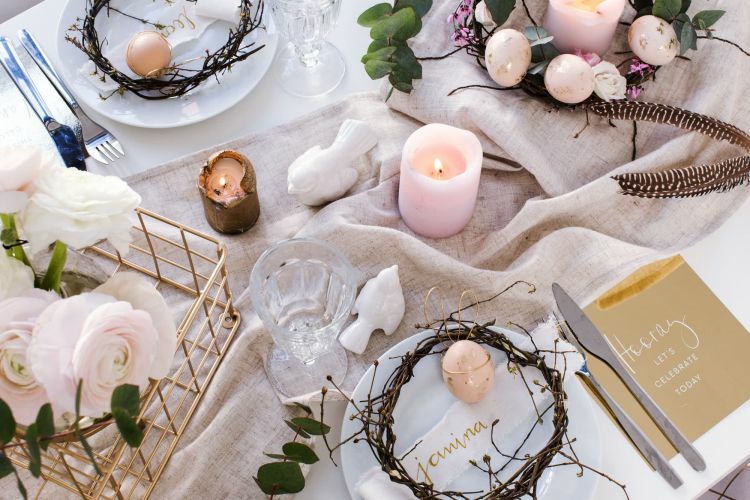 To make the time together even more special, we are showing you, how our perfect Easter table setting looks like! You can create a gorgeous spring table setting with almost no effort and we’ll show you how it works. But before we’re getting into all the crafts and DIYs, get yourself into the mood and listen to our chilled breakfast playlist that’s just perfect for brunch with the whole family and friends. Now that you’re in the spring breakfast mood, it’s time to work on that table decor! 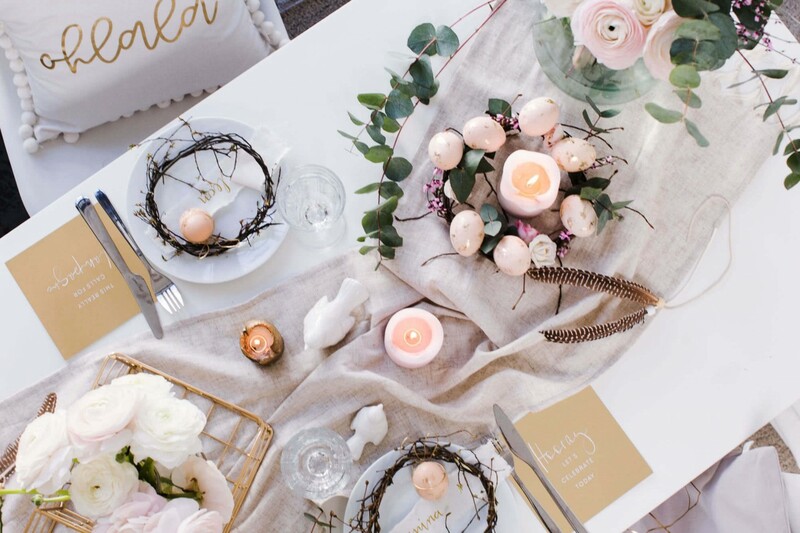 Small details can turn a regular breakfast table into an eyecatcher that’s filled with spring and Easter vibes. These blown out Easter eggs with golden bunny ears are a cute and shiny addition to the table. 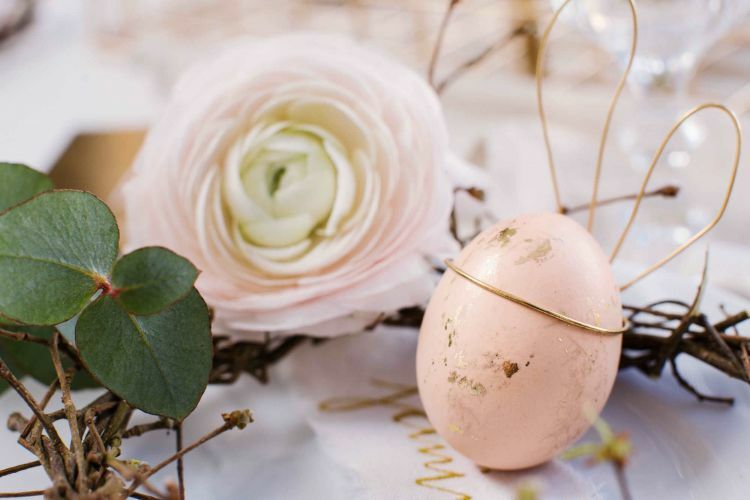 Learn how to apply the gold leaf marbling onto the eggs in our Easter egg DIY here. All you need for the bunny ears is a thin golden wire. Measure the circumference of the Easter egg and twist the wire to create a little crown. Take the two loose ends of the wire and build the bunny ears. We’ve secured them with a hot glue gun to make them stick to the egg. For a more detailed DIY, click here. 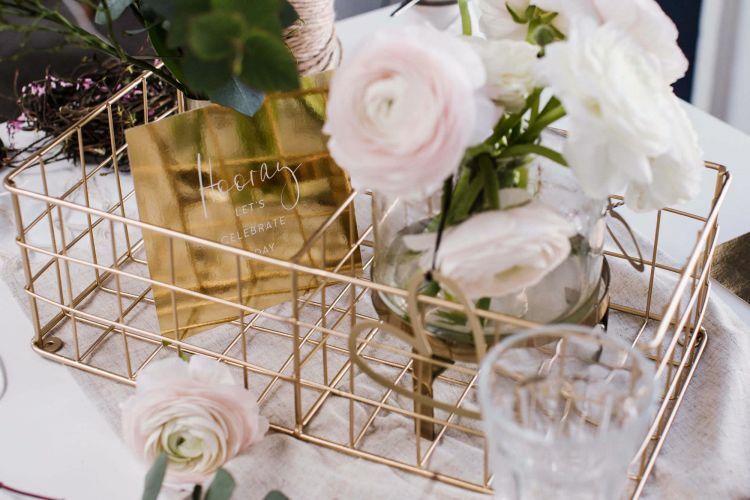 The golden wire basket doesn't only hold your breakfast buns or easterly baked goods, it also makes for a great decor piece on the table! We’ve added a vase and some blooming white and light pink ranunculus and a shiny card hinzugefügt. Another idea for the Easter basket would be to fill it with moss and to add all the gorgeous Easter eggs. Decorate it however you like! Let your girls or family know where they sit right away and start digging into your Easter brunch as soon as possible! 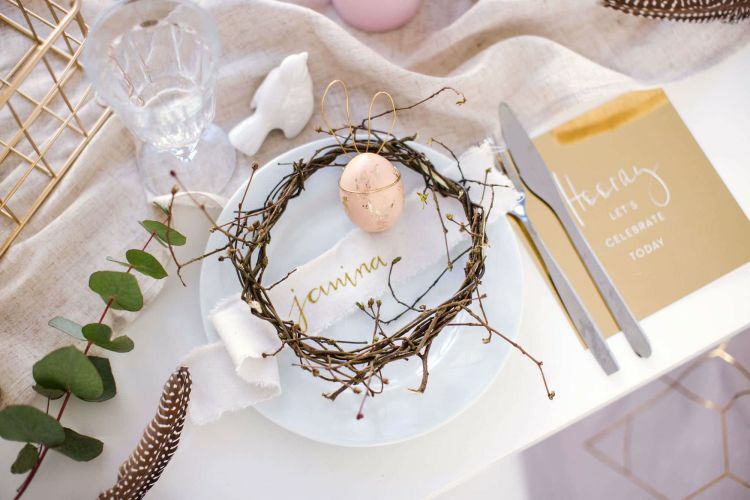 For our table setting, we’ve added a little natural wreath made out of small twigs to each plate, wrote the name of our guests with a golden gel pen on a ribbon and added one of the super cute Easter eggs with bunny ears. To top it all off, each of our guests receives a festive gold postcard! The table is all set - Let the guests arrive! Now all that is to do, is to light up a few candles, use the self-made Easter door wreath as table decoration - click here for the Easter wreath DIY -, turn up the breakfast playlist and let your guests gather around your beautifully set up Easter table! 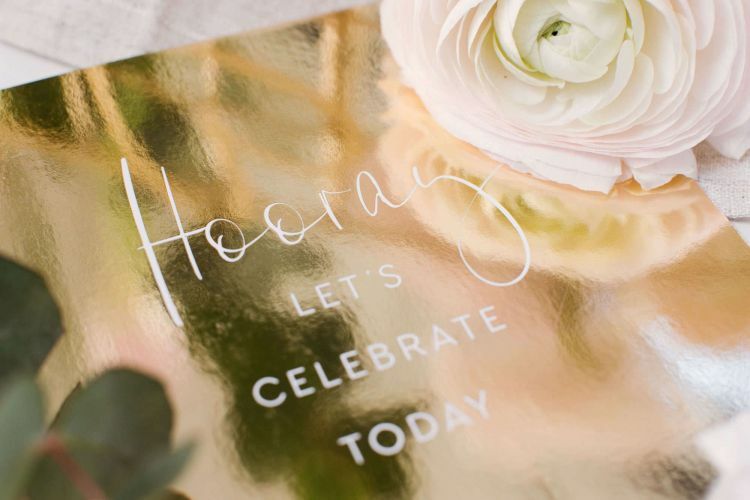 We hope you’re having fun while creating your own Easter table decor and can enjoy a couple of relaxed and golden Easter days!